Choosing Wedding cards and a meaningful gift are opportunities for us to spend time thinking about the couple and looking forward to to celebrating their Big Day. 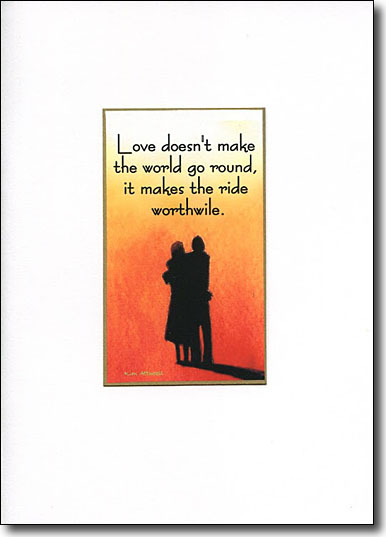 My enhanced prints are perfect cards that set your card apart from the others. 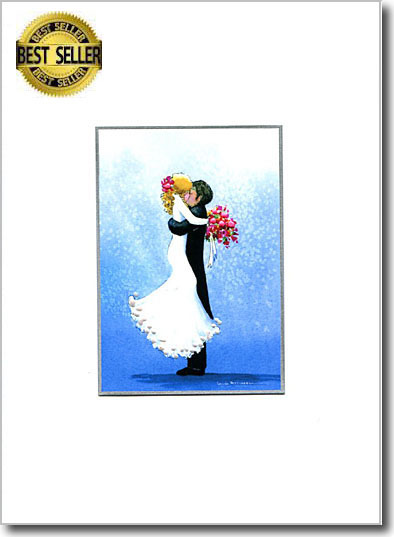 This card, The Wedding Hug, picks you up and conveys the feelings of that very special day. It's delighting many newly weds. 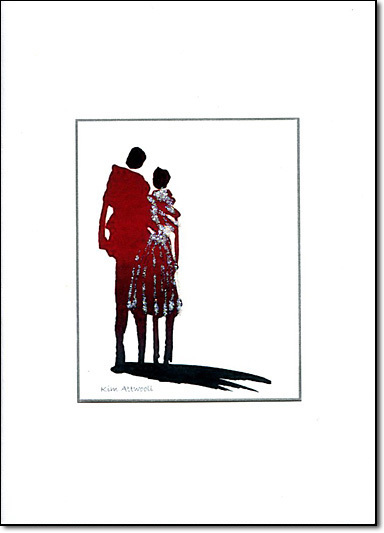 A bold graphic of a tactile pair and the shadow they cast is an artistic greeting recognizing "couplehood". I love enhancing this image with hologram sparkles to dress up the lady. 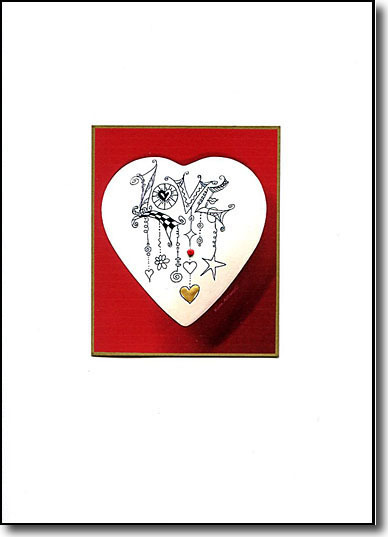 Here is a playful 3D heart with the word "Love" doodled in black ink on white porcelain. Tiny touches of red and gold are added as celebratory embellishments. 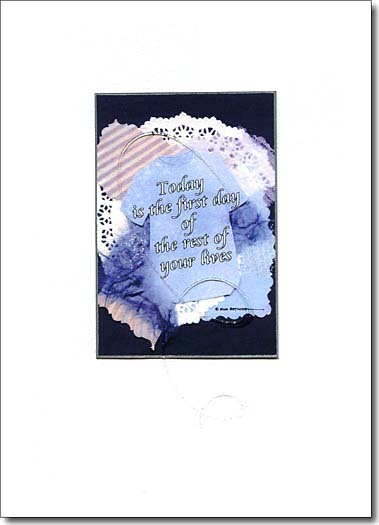 This is a multipurpose card for celebrations, weddings, friendship and, of course, Valentine's Day. This fashion sketch jumps off the page with multi diamond sparkles that extend out from the tulle skirt onto the white card. Use this card to encourage friends to dress up and party for birthdays. 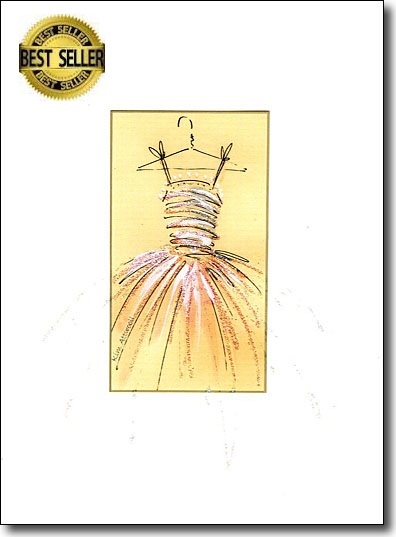 Looking for bride or bridesmaids' cards? Perfect! 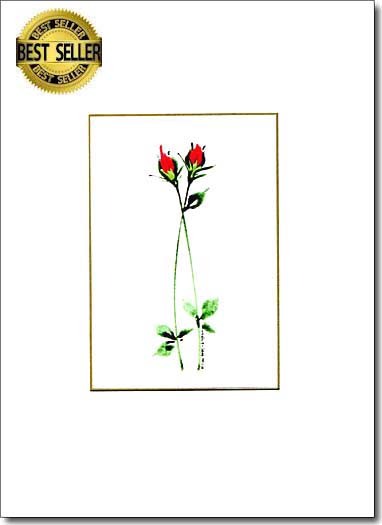 This card is simple and very stylish, the long stemmed roses are entwined suggestively. 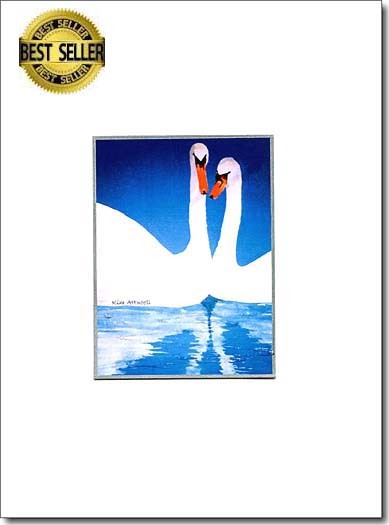 An elegant romantic card to celebrate a wedding. 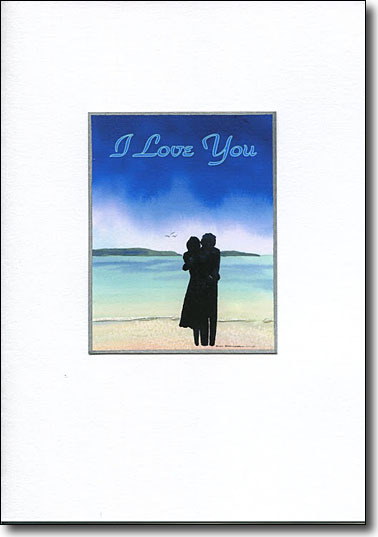 This wedding card is a great one to send to couples who are celebrating with a wedding at the shore. 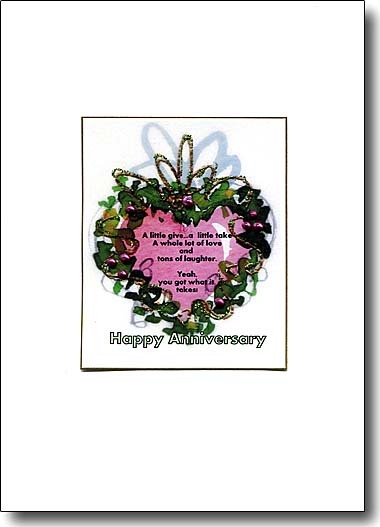 Not so elegant, but what fun to shout out the joy in this whimsical card. This is a good example of glowing colors that I learned from Don Andrews, his DVD, "Making Watercolors Glow", is my favorite. I added a silhouette couple and a great quote which is so true. 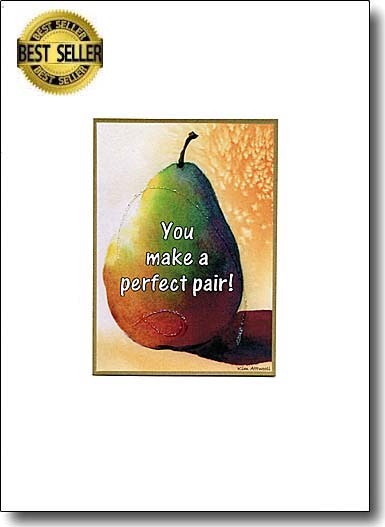 This card is perfect for weddings and anniversaries. They mate for life, so this print of one of my favorite paintings is setting the stage for a long and happy life together. I made this for my children and their spouses to affirm that they have what it takes to "make it". The words are, "A little give, a little take, a whole lot of love and tons of laughter. Yeah, you got what it takes". 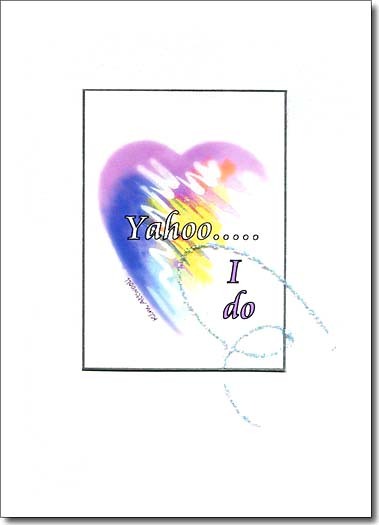 A playful image plays on the word pair and will bring a smile to the couple's faces, because that's just what they are! 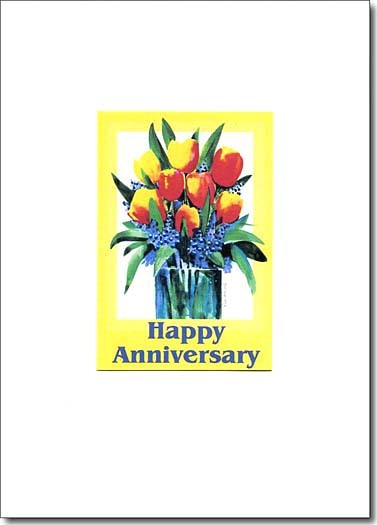 Bright and cheerful, an anniversary is a very special day and this card shows the need to celebrate! When I was married, back in the dark ages, a thoughtful neighbor baked a stollen for our breakfast and gave it to my family along with a note bearing these words. 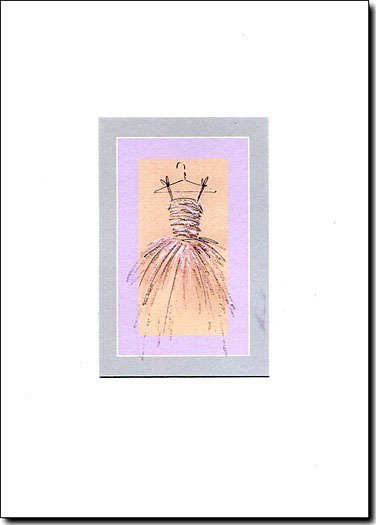 This elegant card is "All about the dress". I embellish the design with sparkles. It's perhaps a perfect wedding shower card. 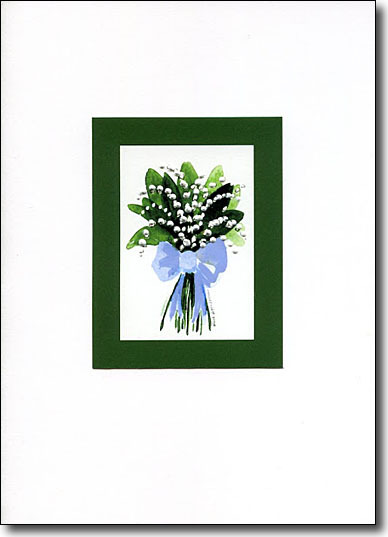 An enhanced card with a Lily of the Valley bouquet. Can you almost smell their magical scent?